The Forensic Evidence Technician receives and releases evidence from and to law enforcement and criminal justice system agencies using the approved protocols to preserve chain of custody. Receives evidence from the drop-box. 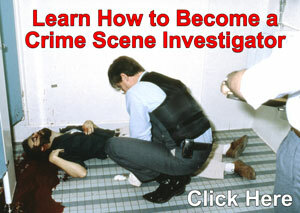 Receives evidence from the morgue and releases the evidence to the proper agencies. Logs receipt of morgue evidence into an Access database. Logs receipt of evidence samples from law enforcement agencies into JusticeTrax LIMS database and produces a case number and case folder. Distributes evidence to the various forensic laboratory sections for testing and analysis, maintaining proper seals and chains of custody. Assists in ensuring the laboratory remains in compliance with the ASCLD\LAB accreditation guidelines. 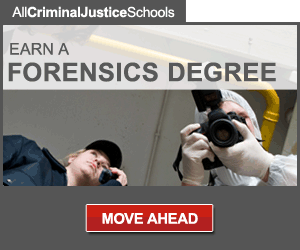 Performs other duties as assigned by the Forensic Evidence Manager or Crime Laboratory Director. Routine External Contacts: Contact with law enforcement and criminal justice agencies. One (1) year of inventory control experience in a warehouse environment, law enforcement, shipping and receiving, or office setting. Experience with computer applications such as Microsoft Office Word, Excel, or Access. Ability to lift and handle large and heavy items of physical evidence weighing up to fifty (50) pounds in the routine performance of duties. The incumbent will go through an initial training program according to established training procedures, which lasts at least 3 months. The incumbent will participate in continuing education programs attending a minimum of 5 hours instruction in relevant areas annually. This can be accomplished by attending in-house seminars or lectures, professional organization meeting, and/or technical training courses. Occasionally is indirectly exposed to biological samples and unpleasant odors. Bachelor of Science or Bachelor of Arts degree. One (1) year of experience in a forensic laboratory environment. Coursework in business or office management software. Membership in Texas Association of Property and Evidence Inventory Technicians (T.A.P.E.I.T.). Experience using evidence-tracking software, such as JusticeTrax LIMS and barcode systems.